The trevolving door at Montreal's Virgin Radio continues. In the past year, no less than three prime time program hosts have left the station: Cat Spencer, Heather B and Nat Lauzon. Now you can add Lisa Player to the list. The co-host of the popular morning show with Freeway Frank announced today (December 16) that she and her husband are moving to Northern Ontario at the end of the month and she plans on leaving the radio business altogether. Chantal Desjardins would be a fine fit. 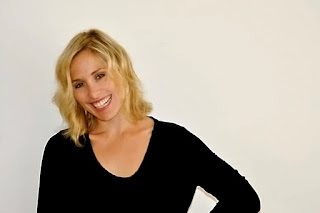 The current co-host of sister station CHOM FM's morning show, her future there is up in the air. Terry DiMonte returns to the airwaves at Montreal's rock station on January 9 and he told me that no decision on other team members has been made. Moving Collins or Nikki to the morning slot with Freeway are options. Then there is Natasha Gargiulo, the stylish Entertainment Tonight Canada Montreal correspondent who is also part of Virgin's drive home show with Cousin Vinny. It would be nice to see Kelly Alexander (Kelly "A") get a permanent gig. She has been a devoted Virgin swing member for years, handling weather, hosting and remotes. Bergman might even surprise us with a name we are not familiar with or someone from another station. Sabrina Marandola, the former Suburban Newspaper reporter who is just delightful on CBC Radio One, would make a wise choice. 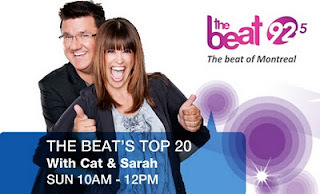 How about Donna Saker from 92.5 FM The Beat, whose current on air shift is from 9 am to 5 pm (she does get a break for lunch)? Would Bergman try to lure The Beat's Sarah Bartok over? Freeway told listeners that there will be another announcement next Thursday, so perhaps Player's successor has already been chosen. UPDATE: Natasha Gargiulo got the nod. See the Fagstein blog for all of the details. 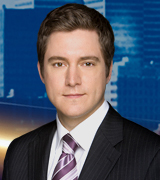 CTV Montreal News and Public Affairs Director Jed Kahane has confirmed that Paul Karwatsky will be the interim co-anchor at noon and 6 pm weekdays with Mutsumi Takahashi, as the search for a permanent replacement for the departing Todd van der Heyden proceeds. 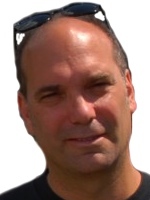 Karwatsky has been with the station for eight years. He is handsome, personable and well liked - a homegrown journalist who attended Nesbitt Elementary School and Vincent Massey Collegiate in Rosemount. I first met him through his mom Mary Ann, at the time a guidance counsellor at the English Montreal School Board. "My son just graduated from university with a double major in journalism and political science and he would like to get a job in the media," she said. 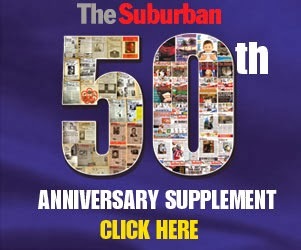 "Can you get him something at The Suburban?" Soon after Paul did call me and sent along his CV, which I shared with The Suburban. He quickly scored some freelance work with CTV Montreal, despite the fact he had no prior TV experience. Paul caught on quickly and made his way to the anchor desk in a pretty short period of time as a fill-in and more recently on weekends with Tarah Schwartz. Kahane has made the appropriate move, not doing anything permanent at the moment. Karwatsky was and probably remains the number one candidate for the job. If they open it up to applications, one never knows who might apply from the outside. Well it looks like the new 92.5 The Beat FM format is working out quite nicely. In its first Bureau of Broadcast Measurement (BBM) ratings period via the Personal People Meters (PPM) method since reinventing itself from The Q 92.5 FM to the Beat, the Cogeco station showed comfortable gains from the last survey. TSN Radio 990 (formerly TEAM 990 and soon to be TSN Radio 690) also showed improvements. The survey was taken between August 29 and November 27. In terms of the weekly reach of listeners in the anglo market, Virgin Radio (516,000) remained in the lead followed by The Beat (483,000 compared to 475,000 previously), CHOM (342,000), CJAD (304,000), TSN Radio (131,000 compared to 83,000) and CBC Radio One (121,000). In the all important aged 25 to 54 demographic, Virgin Radio’s morning show, hosted by Freeway Frank and Lisa Player, leads the pack between 9 am and 10 am (Andrea Collins does the final hour) with a 28.9 percent share. CJAD's Andrew Carter (22.3), Cat Spencer and Sarah Bartok at The Beat (21.4 up from 17.5), Rob Kemp and Chantal Desjardins on CHOM (20.5) and Elliott Price and Shaun Starr on TSN Radio (6.8 up from 5.0) follow. "The Montreal radio landscape had more competition than ever this fall, which made things fun for everyone!" said Virgin Radio brand director Mark Bergman. "As the leader our plan was not to react, rather continue providing our loyal listenership with the biggest hits in Montreal, a fun personality filled line up, all wrapped up in a premium radio brand. We're thrilled with our results! Over two million listeners and number one again with adults aged 18 to 54." Between 10 and 4 pm, Virgin Radio (36.7) is in the lead followed by CHOM (24.6), The Beat (23.1 from 19.7), CJAD (8.8) and TSN Radio (6.9 up from 4.5). During the drive home, from 4 pm to 7 pm, Cousin Vinny at Virgin Radio is way out front (37.7) followed by AJ Reynolds at The Beat 20.2 (up from 19.0), Pirate” Pete Marier at CHOM (19.3), Mitch Melnick at TSN Radio (14.8 up from 9.0) and CJAD’s Aaron Rand (13.9 up from 12.9). “We are pleased with The Beat's first book,” commented Mark Dickie, general manager and mastermind behind the new station. “We did very with females aged 35 to 54, which is the demo we need to own for our goal to own females aged 25 to 54. Virgin is the choice for 18 to 34 year olds and The Beat is quickly becoming the choice for adults. We aren't able to publish November's results, but the three-month trend is very impressive. It is nice to see them get rewards so early in the game. In the overall standings, which takes into account every singer listener regardless of age, the presentation is a bit different. It shows CJAD in the lead (24.4), followed by Virgin Radio (18.3), The Beat (16.3), CHOM (12.3), CBC Radio One 88.5 FM (8.4) and TSN Radio (4.0). These are not the numbers, though, that advertisers take a particularly close look at. For Wayne Bews, general manager of TSN Radio 990 he had one word to sum up his reaction. "Proud," he responded. "We knew getting the rights to the Montreal Canadiens would help us. But keep in mind that when this survey was taken, the Canadiens were only playing during six of the 13 weeks." Bews says the most telling statistic is how the station performed with the male aged 25 to 54 demographic, where they were previously in fifth place with a 3.7 share. From 7 pm to 11 pm Monday through Saturday evenings, they are now number one with a 19.8 share ahead of Virgin Radio (17.3). "All of our staff worked really hard from the time we got the rights last June," he says. "This is really an excellent start."